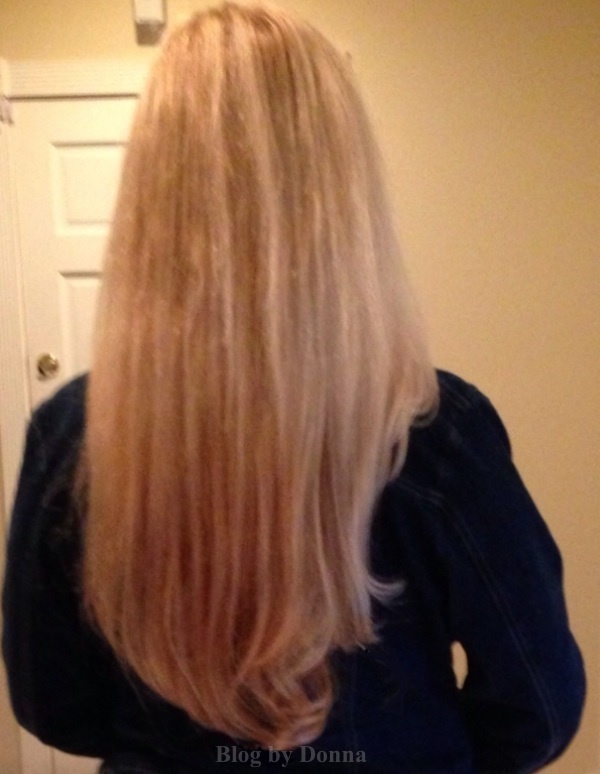 Whether I’m a brunette or a blonde, bangs or no bangs, curls or straight, I am picky about the hair products I use. Yet, I’m frugal. I want a top-of-the-line product at an economical price. I don’t think that’s too much to ask for…. do you? Luckily Vidal Sassoon doesn’t think so either. Since I color my hair, my hair isn’t in the best condition. There’s a lot of damage. Sad, but true. I get oily roots but the ends are very dry. But as I said, I’m frugal and won’t spend a lot of money on shampoo and conditioners. It’s difficult to find a great product at the right price. I’m thrilled that Kroger carry Vidal Sassoon Shampoo and Vidal Sassoon Conditioner in their grocery stores! I shop at Kroger, so being able to get salon quality products at affordable prices while I’m already at Kroger doing my grocery shopping is… NICE! What I liked best about Vidal Sassoon Pro Series Moisture Shampoo is that if I were in a hurry, I could actually get away with not conditioning my hair. Now remember, my hair is very damaged and dry, so I almost always have to use a conditioner. My hair after using the shampoo was not nearly as tangled as it is with some shampoos I’ve used. 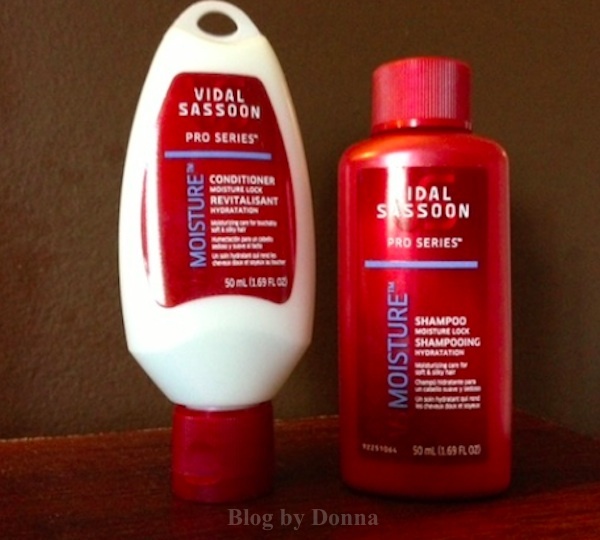 What I like best about Vidal Sassoon Pro Series Moisture Conditioner is the “moisture”! It was so easy getting a comb through my hair. This IS a big deal for me. I am a big fan of this conditioner. I will be a long time user… especially at the low-price. If you’re a frugal gal like me, but want a quality product, I recommend you try the new Vidal Sassoon Pro Series hair products. I’m looking forward to seeing how my hair fares after a few more shampoos. Great hair doesn’t have to cost a fortune. At Kroger, you can achieve salon-inspired results, brilliantly priced, when you purchase the new Vidal Sassoon Pro Series hair products. Download coupons for the already affordable products, now through March 2. Happy shopping (and shampooing)! Disclosure: I was selected for participation in this campaign as a member of Clever Girls Collective. You have gorgeous hair! It’s nice finding quality products at an affordable price too. Ah, thank you, Kelly! Yes it is! I shop at Kroger. And I need shampoo. I will have to try this! Isn’t Kroger great? You really should try it for yourself. I’ve always liked it when professionals make beauty lines that are affordable for the average joe and available at places you shop often. There’s no reason for anybody to have to pay $20 for a bottle of shampoo. Amen, Tammy! I am just too frugal to spend that much on a bottle of shampoo. And no one should have to sacrifice quality to get a reasonably priced bottle of shampoo, either. I so wish they would rebuild our Kroger here in Joplin. I thought they were going to after the tornado but I guess not. Beautiful hair. We don’t have a Krogers here. Your hair is so beautiful and long! your hair looks so fabulous! thanks for sharing. I’m frugal too! It’s always nice to find a good product for a great price. I wish we had a Kroger, it seems like they always have such awesome deals!! I wish we had a Kroger. Your hair looks very nice! Your hair is so gorgeous and manageable! Thanks! I totally need an inexpensive alternative for color treated hair. I’ve never tried it, but I might after reading your review. I love shopping at Kroger for my hair products because they always have the greatest deals. Also, you have gorgeous hair! I grabbed up several bottles. It’s a new product and I had good coupons.